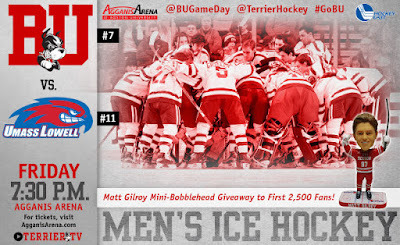 #7 Terriers begin a critical home-and-home series against #11 UMass Lowell tonight at Agganis Arena. 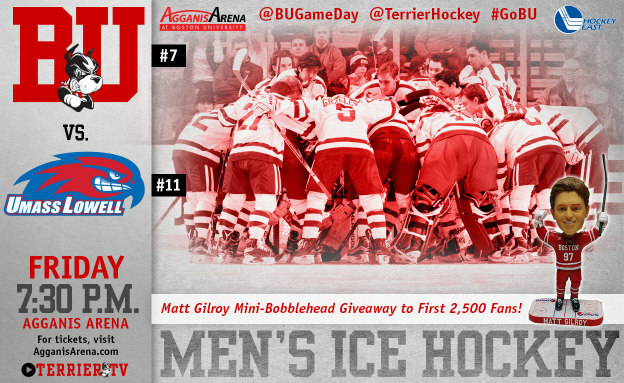 Puck drop is set for 7:30 p.m. and the first 2,500 fans will receive a Matt Gilroy mini-bobblehead, the second in a series recognizing BU’s Hobey Baker Award winners. At stake is home ice in the second round of Hockey East playoffs. BU is currently in fifth place, three points behind Lowell, but with two games in hand. The teams last met in the Hockey East championship game last March, won by the Terriers, 5-3 (video). As always, the River Hawks are a defensively stingy team. Goalie Kevin Boyle is sporting a 1.73 goals against average. Sophomore forward CJ Smith tops Lowell’s scorers with 13 goals and 30 points; however the team’s #2 scorer, Adam Chapie (27 pts.) will miss tonight’s contest due to a one-game suspension. 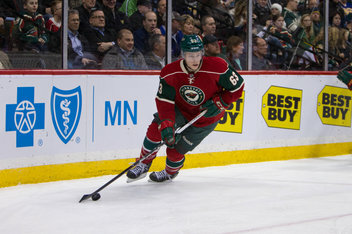 Charlie Coyle scored his 13th goal of the season for the Wild who fell to Washington, 4-3. While three future Terriers will be in action at the Youth Olympics in Lilliehammer, Norway, Team USA looks back at the first Youth Olympic games in 2012 when Jack Eichel tied for the scoring lead for the U.S.
1973: Boston University defeated Boston College, 4-1, in the Beanpot Championship game to tie the Eagles for the most titles with eight, and to become the first team to win four straight. The Terriers opened the scoring on a power play goal by Vic Stanfield at 14:53 of the first, the only goal of the period. 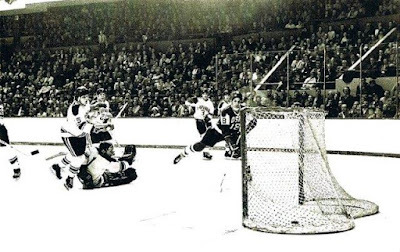 Midway through the second period, BU scored twice less than 2 minutes apart when All-American Steve Dolloff (photo) scored at 10:13 and Ken Kuzyk scored at 11:54. 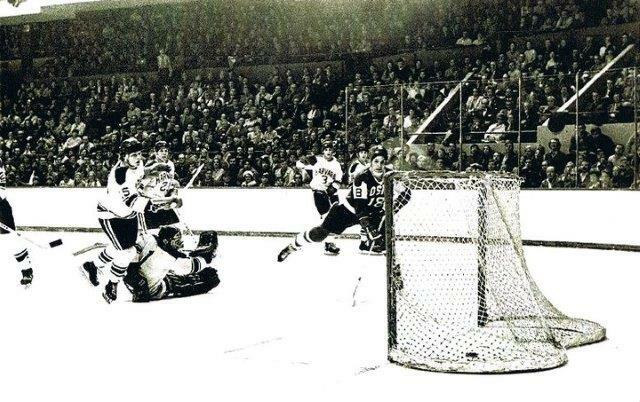 The Eagles made it 3-1 just 25 seconds later when Mike Powers scored, but that was the only goal BU goalie Ed Walsh would allow. In the third, Dolloff scored his second of the game at 4:12 of the period to give BU a 4-1 lead that would hold up the rest of the way.